Roon has been my preferred music player since its 2015 release and its features have multiplied since the first release allowing me to not only explore my music collection with this unique program but take advantage of its numerous DSP functions. I have been hooked on file-based audio, or as many refer to it, computer audio since 2006. I can remember my first setup using a Windows XP desktop I had assembled myself. It was connected via USB to a pre-asynchronous USB Wavelength Audio Cosecant DAC. I used Windows Media Player and Foobar to play my ripped CDs and controlled the computer with a remote program called Promixis NetRemote that ran on an HP Pocket PC over a wireless network. Being able to select music files remotely was quite the achievement in my early days experimenting with computer audio. Twelve years later, I found myself using RoonServer as my music software and configured playback (Roon Core) on an Asus G701VI laptop running Windows 10 Pro 64 (Version 1803) with AudiophileOptimizer 2.20. The Asus G701VI is built around an overclockable Intel Core i7 6820HK processor with 32 GB DDR4 2400Mhz SDRAM and a very fast PCIe Gen3 X4 NVMe SSD. The computer was able to handle anything Roon presented to it as well as DSD upsampling with Roon and Signalyst’s HQPlayer. Control of RoonServer was with a 10.5-inch iPad Pro. Even though I modified the Windows operating system with AudiophileOptimizer, I still was using a computer; a device that was not optimized for music playback and could be quite fussy at times with software OS updates. Roon Labs has released two plug-and-play headless music servers that were designed to optimize the performance of RoonServer; the Nucleus and the Nucleus+. The Nucleus ($1398.00) is based on an Intel 7th generation NUC running an i3 processor with 4 GB RAM with a 64GB SSD for the operating system and your library’s metadata. 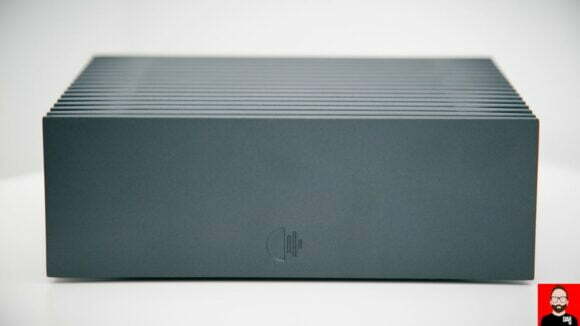 The Nucleus+ ($2498.00) uses a faster Intel 7th generation NUC that is based around a dual-core i7 processor with 8GB of RAM and a 64GB SSD. Both models can accommodate the installation of a 2.5-inch HDD or SSD SATA drive with a height of 7mm or 9mm for internal file storage. 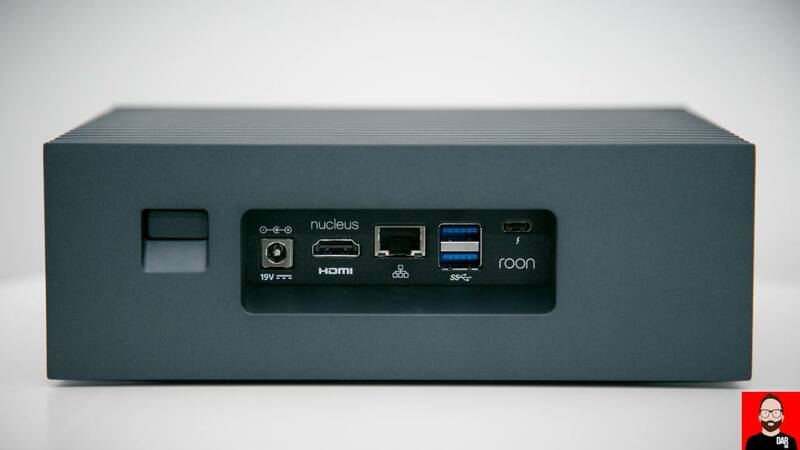 Roon Labs partnered with Intel in the use of their NUC platform to ensure a solid design for the Nucleus+. 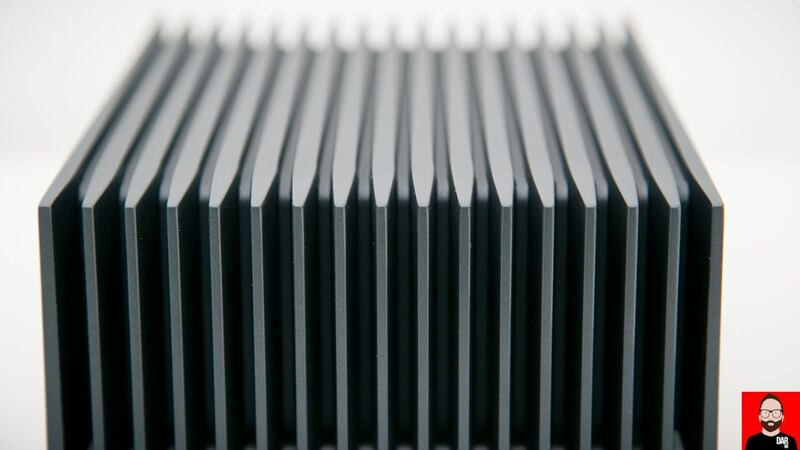 They consulted with Intel on design features such as power management and thermal strategy to deliver the desired computing power in a small fanless server. The aluminum case is quite impressive looking; it serves as a large heat sink to compensate for the absence of an internal fan. 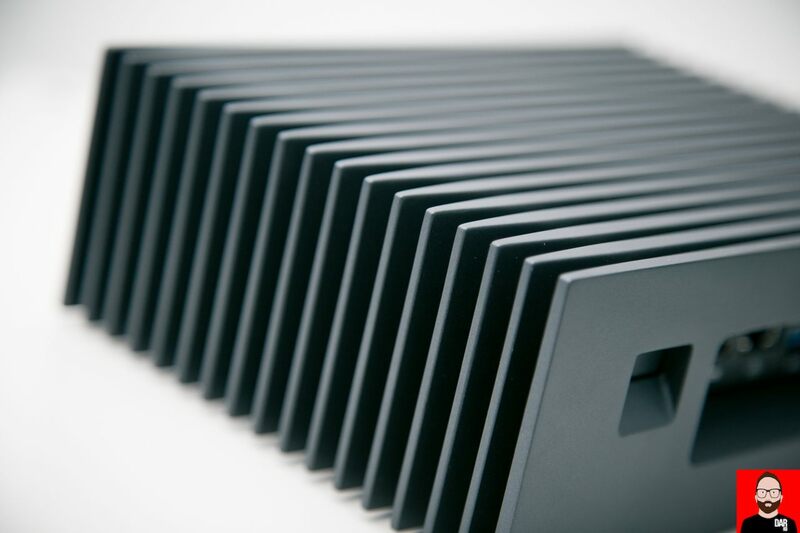 The case is derived from a single block of die-cast aluminum that gives it a unique look with its grey-black appearance. There are no LEDs or switches on the front panel; everything is located on the back of the Nucleus+. 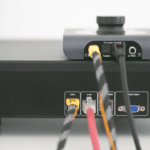 An Ethernet input, two USB 3.0 ports, and HDMI port that can handle stereo and multichannel audio, a Thunderbolt port that is presently not functional, and a 19-volt input for the power supply. The rear-panel power switch is illuminated. Roon Labs decided to write their own operating system from scratch based on the Linux OS. It is optimized for the Nucleus / Nucleus+ CPU architecture and the kernel optimized for running RoonServer. This design of the OS into three partitions – Boot, Application and Data – ensures that the Nucleus+ will always boot-up. Roon Labs suggests that the Nucleus+ be used if one is going to use the DSP features of Roon such as DSD upsampling; the standard Nucleus might come up short on horsepower in some (but not all) use cases. If you have a large library with over 120,000 tracks (12,000 albums), the Nucleus+ is the recommended model. Setting up the Nucleus+ is pretty much effortless. The first thing one will need is a subscription to the Roon software which costs $119 a year or $499 for a lifetime membership. You will also need a device to control Roon; in my case, a 10.5-inch iPad Pro. Other control options include a Mac or PC, Android tablets and phones, or Apple iPads and iPhones. I connected a 24TB G-Technology G|RAID Thunderbolt 3 / USB 3 drive to one of the Nucleus+’s USB ports. A NAS (Network Assisted Storage) drive or a drive installed in the Nucleus+ can also be employed for storage of your music files. Connect your Ethernet cable and plug in the power supply and you are ready to go. The Nucleus+ will be recognized by your control device and one just follows the RoonServer setup from there. There is also a Roon OS web interface that makes it possible to re-install the Roon OS, re-install the Roon Core software or reset data to a factory-fresh state. The user can then configure RoonServer for the DAC or component used as well as other desired functions. Roon makes it very easy to transfer your metadata and Roon settings from one Core device to another. I used a USB flash drive backup to transfer my data from my Asus laptop to the Nucleus+. The Nucleus+ was designed to require very little or no support after installation. Updates of software and firmware are easily implemented with the OS web interface or within RoonServer itself. For those interested in the cleanliness of power supply, the Nucleus+ was plugged into a Shunyata Research DPC-6 v2 power conditioner with a Shunyata Alpha NR AC cord. The Nucleus+ was placed on a Synergistic Research Tranquility Base UEF. I used two DACs to evaluate the Nucleus+; the Playback Designs MPD-8 Dream DAC and the Ayre Acoustics QX-5 Twenty. I also connected a Sonore Signature Rendu SE mini network computer and linear power supply to drive both DACs via USB. 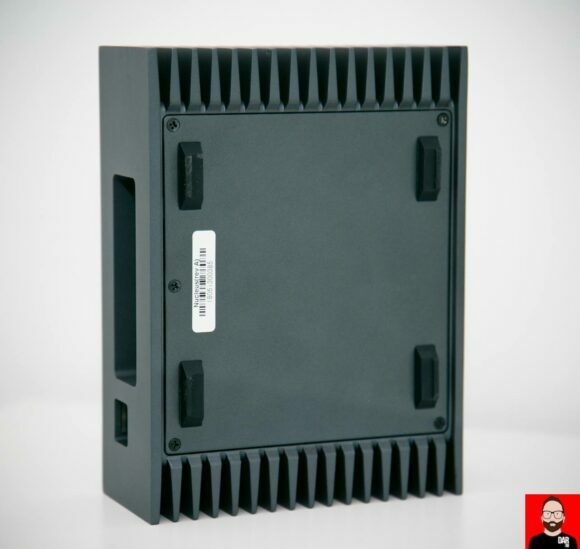 The Ayre QX-5 Twenty and the Sonore Signature Rendu SE are Roon Ready endpoints meaning that these components will be recognized by Roon when the products are connected to the network and utilize Roon’s RAAT (Roon Advanced Audio Transport) streaming protocol. Roon can recognize multiple endpoints (aka Zones) which can play simultaneously using RAAT, AirPlay, or Roon’s other supported protocols. AudioQuest RJ/E Diamond Ethernet cables were employed in this evaluation with an AQVOX SE switch powered by a Bakoon BPS-02 battery power supply. I also used a variety of USB cables including the AudioQuest Diamond, Intona Reference, and the Wireworld Platinum Starlight 7 USB 2.0 cable. I listened to the Nucleus+ driving the Playback Designs Dream DAC and Ayre QX-5 Twenty directly via the USB outputs of the Nucleus itself. I also used the Ethernet connections of the Ayre and the Sonore Signature Rendu SE with its USB output to feed both DACs. I was able to easily select which output to use in RoonServer allowing me to enjoy both the Dream DAC and the Ayre QX-5. The excellent integration of the operating system and the RoonServer music software with the Nucleus hardware was clearly evident. With a little over 90,000 files on my G-Technology drive, the Nucleus+ was very responsive when controlled by my iPad Pro. The overall sound of the Nucleus+ server was outstanding with no drop-outs or other system hang-ups. I tried several DSP features including upsampling everything to DSD256 using the Playback Designs MPD-8 Dream DAC. Again, performance was exemplary with no extraneous noises or noticeable sonic errors. The Nucleus+ made it very easy to hear the sonic differences between the Dream DAC and the QX-5 Twenty DAC. The Nucleus+ case became only slightly warm during normal playback and just a little bit warmer when upsampling to DSD256. 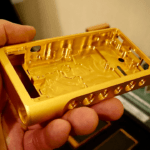 It appears that Roon Labs did their homework in the design of the case. 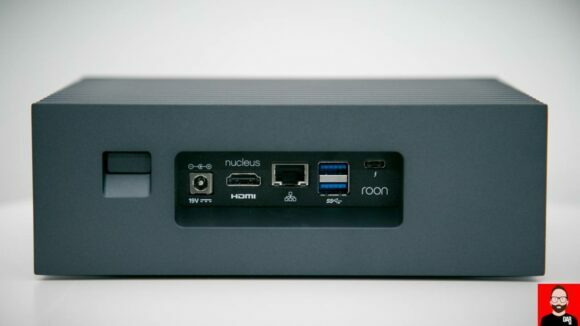 What I enjoyed most using the Nucleus+ was that Roon Labs intended it to be left on and always ready for use with the excellent overall stability of RoonServer. Some of you will probably be wondering how the Nucleus+ sounded compared to my Asus laptop running Windows 10 64 Pro with AudiophileOptimizer. I preferred the overall sound of the Nucleus+ compared to my Asus laptop when driving the DACs directly via USB. There was no question in my mind that the overall musical experience using USB or Ethernet was superior using the Nucleus+. Going USB direct into a DAC, how did the Nucleus+ compare to the Sonore Signature Rendu SE ($3295), the latter fed by the Nucleus+ over Ethernet? After all, the Signature Rendu SE combines the low noise USB output of the UltraRendu with a high-quality linear power supply. 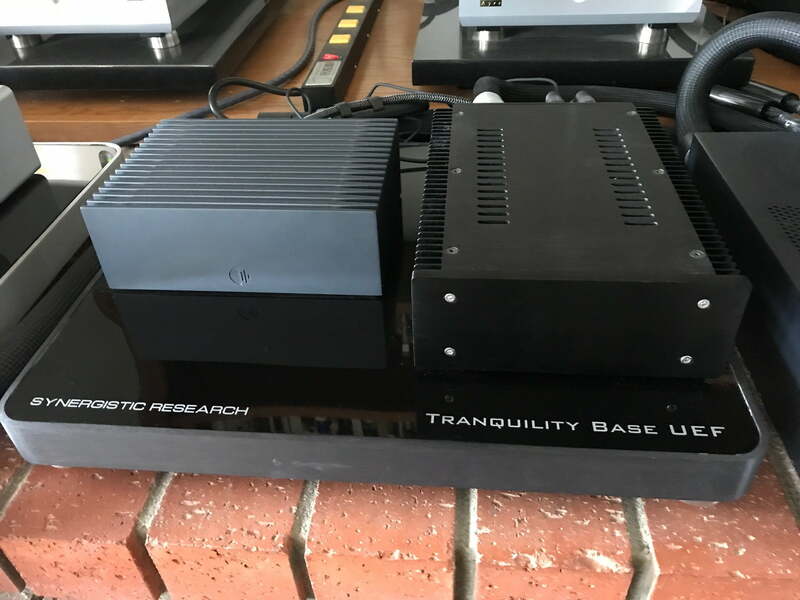 Without question, the best sound was achieved with the Nucleus+ streaming to the Signature Rendu SE which in turn was connected to a DAC via USB. Soundstage and overall transparency were enhanced by the Signature Rendu SE with a superior sense of background silence. I did find the Sonore unit to be somewhat sensitive to USB cables. The Wireworld Platinum Starlight 7 USB 2.0 sounded bright to me when used with the Signature Rendu SE. I preferred the sound of the Intona Reference and the AudioQuest Diamond USB. I particularly enjoyed listening to Jackson Browne’s Standing in the Breach (192/24) played with the Nucleus+. Both of my DACs delivered a large soundstage with a lively, upbeat sound. There was a good visceral grip of the bass with solid impact. Browne’s voice was well focused with immediacy and palpability. Blue Coast Records’ Collection 3 (DSD128) was able to take advantage of the ultra-quiet fanless design of the Nucleus+. 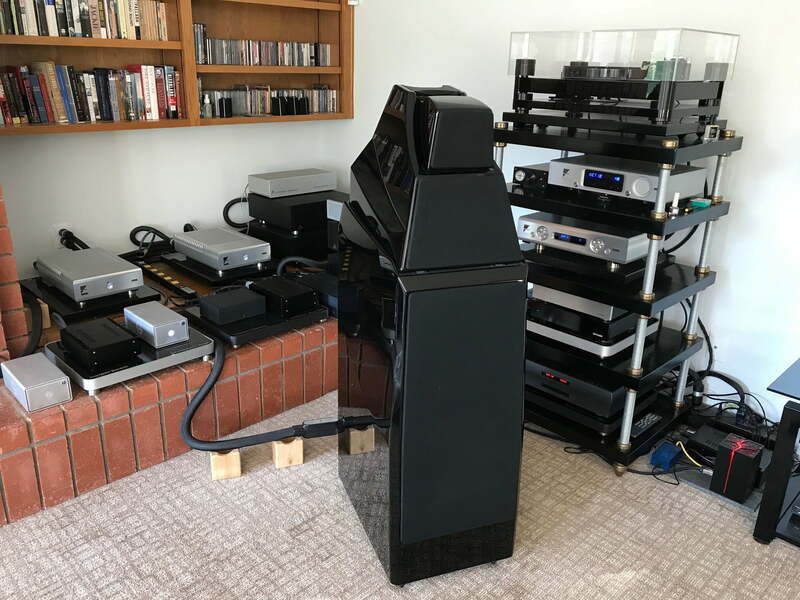 There was a deep sense of background silence to the overall sound enhanced by the fanless design given that I listen to my music with the server in the same room. Inner detail and resolution were first-class using the Nucleus+ server with a wonderful tonal naturalness to the sound. The Blue Coast Collection 3 presented outstanding dynamic life and detail to the sound that made this new release most enjoyable to this listener. Reference Recordings Doug MacLeod’s Break the Chain (176.4/24) blew me away with its sheer dynamic energy and radiant immediacy. I found the sound on this album to be pure and direct with a lifelike presence in both timbre and dynamics. Reference Recordings recorded Break the Chain live, in real-time, with no overdubs or effects. I found this Doug MacLeod album to be amazingly expressive and involving when heard with the Nucleus+. I’m sure that the more astute computer users will notice that something like the Nucleus+ can be assembled for far less than the $2498 asking price. 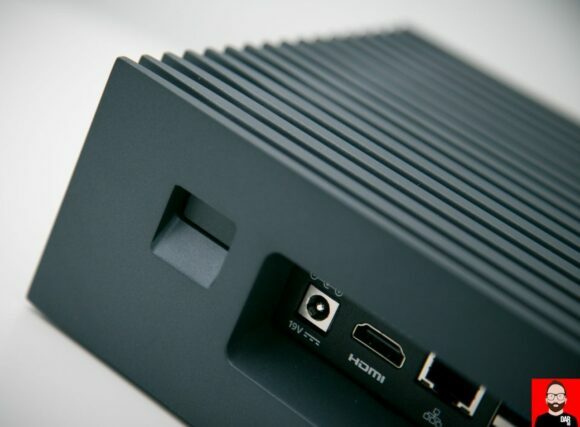 Roon has released a free DIY release of the Roon OS called “Roon Optimized Core Kit” (ROCK) with instructions for those who wish to assemble their own Intel NUC server. Be advised that the Nucleus+ offers Crestron/Control4 module support for home automation but is not included in the downloadable version of ROCK. This also raises the question if the Nucleus+ will have audio features added to it that are not found on ROCK? I was unable to get a confirmation of this question from Roon, but the future potential of added audio features surely remains a possibility. While the Nucleus+ comes with its own SMPS (Switch Mode Power Supply) that is rated at 19v / 3.42 amps, substitution of the power supply with a quieter SMPS or linear power supply can enhance the overall performance of the server by adding less noise to the overall system. I tried a 200-watt HDPlex linear power supply and an SOtM sPS-500 (SMPS) to see if there were appreciable improvements observed in sound quality. I found the HDPlex to have the best sound in my system with a general reduction in overall ‘brightness’. The Roon Labs Nucleus+ server has changed my thinking concerning the selection of an optimum playback device to use for the Roon music software. Enough cannot be said for the overall user-friendliness of this device. The outstanding integration of the OS with the hardware and the Roon music software is something that was quite apparent to me as I listened to the Nucleus+. 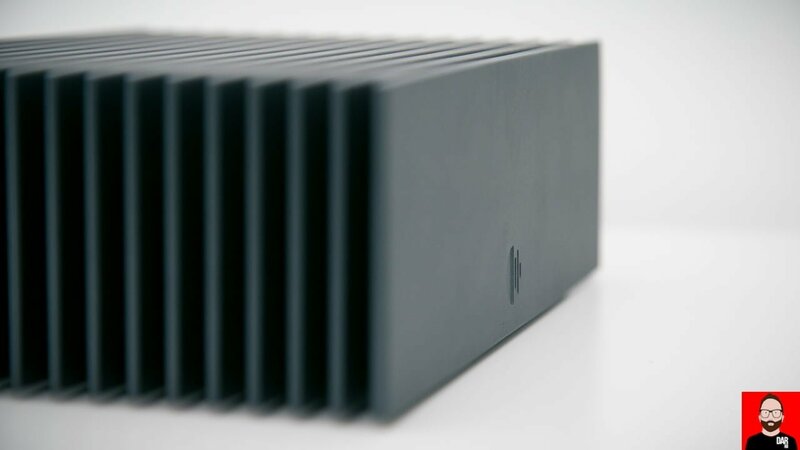 I found the Nucleus+ to be a solid piece of engineering with its use of Intel’s NUC and custom fanless design. The Nucleus+ is going to be a keeper for this computer audiophile. Next article Filling the void: 5 DAPs that do Tidal, Qobuz, Spotify etc. 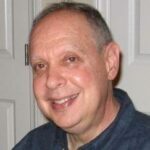 Steven Plaskin is a retired podiatrist living in Southern California. He reviewed for AudioStream for six years before joining Darko.Audio. 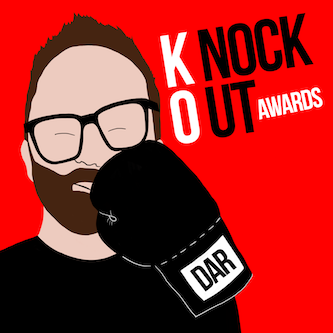 Filling the void: 5 DAPs that do Tidal, Qobuz, Spotify etc.